Some of you will probably disagree with me, but I don't really consider myself a trend follower when it comes to clothing. 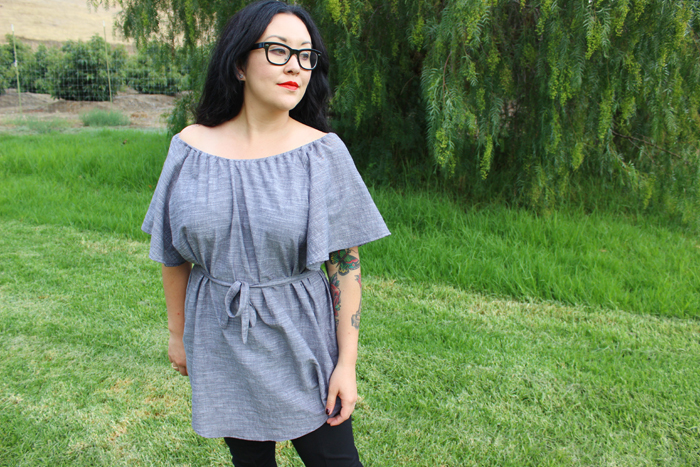 Yeah, there are sewing patterns out there that a lot of us sewists will use, but when it comes to styles and brand names I'm not easily swayed by what is "in style" at the moment. Take those shirts with the shoulder cut outs. NO. Lululemon leggings for $128.00? NEVER. And wearing a bra as a statement piece. NUH UH. 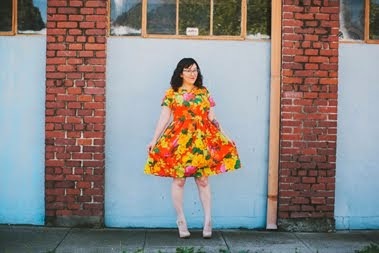 I guess I try to think long term when it comes to sewing and I want to make garments that fit my taste and are timeless, in that they are things that I will wear for a long time, not for a "season." Despite everything I just said two seconds ago, here is the trendiest thing I have worn in a while 😂 I've seen a lot of off the shoulder tops and dresses this summer, so I'm guessing this is very "on trend" right now. But this comment/fashion advice is coming from someone who has been wearing black Converse and band shirts for the last seventeen years, so feel free to take any "fashion tips" from me with a grain of salt, haha! 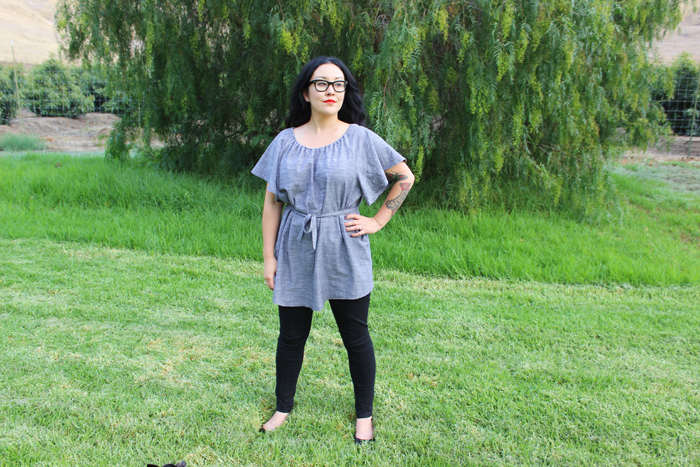 The tunic length pattern is version two of the Seamwork Loretta pattern, sewn without any fit adjustments. 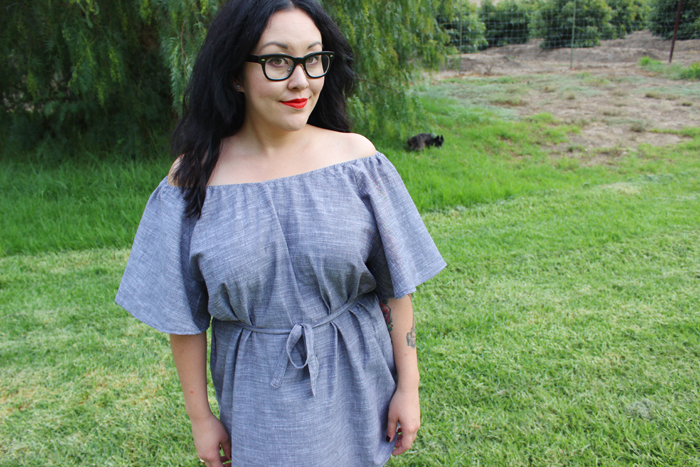 It was a quick one to make (it's a Seamwork Pattern, so duhhhh) with only a few pattern pieces (front, back, sleeves, elastic casing, belt, and belt loops) which is great for the instant gratification project I needed in my life. The only changes I made for my version were minor ones: I cut the elastic a few inches shorter than the recommended length for a snugger fit and I didn't add the belt loops. Honestly, I'm not a fan of how they look and since I wasn't sure if I'd be wearing it with the belt (it has since been confirmed that this will be belted at all times) I kept them off. For future version two it will be loopless, possibly have a longer belt, shorter elastic to keep it on the shoulder (Not sure I can rock an off the shoulder look. It looks cute, but might not be functional. Will have to wear version one a few times to determine), I will use bias tape along the hem instead of folding over and stitching, and it will have some sort of tag in the back so I can tell the difference between the front and back. One of my favorite things about sewing is that I don't have to have annoying and itchy tags on my neck, but I'll definitely add a small loop of elastic or fabric. Not itchy and functional FTW! 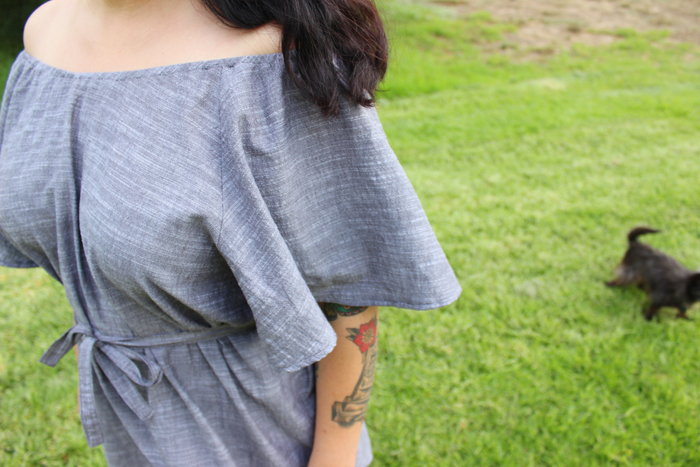 This dreamyyyyy fabric is the new chambray from Birch in black. I love that it comes in 58 inch widths and that it's organic. Well, all of Birch's fabrics are organic, so that's nothing new, but it is always a plus for me when I'm buying it. I buy organic fruits and veggies, so why not organic fabric? To clarify, Birch did give me this fabric to make a garment, but I do buy from their line already, which is why I say I'm a fan of buying organic. I also like buying local, which is convenient for me since Birch's storefront is forty five minutes away mwahaha! 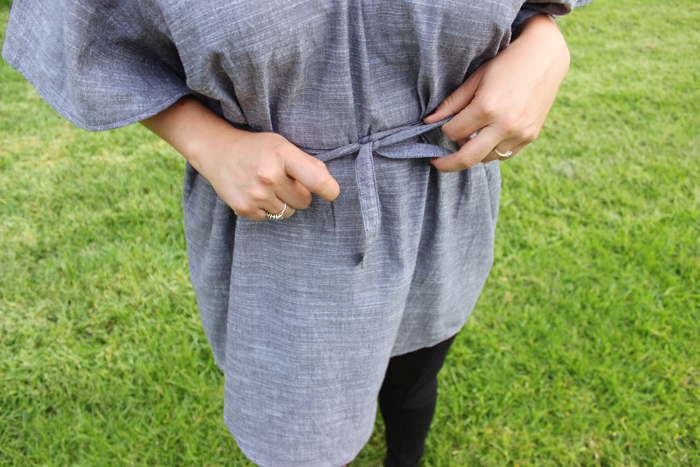 Back to the fabric, it's lightweight enough for this blouse. Wait, actually, it's pretty perfect for this pattern. It would also be perfect for the most comfortable Archer too. You guys know I'm an Archerolic, right? So basically this situation is going to happen soon since it is now technically Fall and I'll be living in Archers. Also, just decided that Fall and Winter are now considered Archer Season in my world.